At the time of the arrival of Fr. Lourdel (Mapeera) and Bro. Amans this shrine was famous in the area and around Kampala. The missionaries also went there to prove the reality, but could not see the leopard. When Ssemalago Mubiru was communicating with god Mayanja, he used to rumble and roar exactly like a leopard. Perhaps that is why he had convinced people that he was keeping a tamed leopard. Remember that witchcraft was being practiced in total darkness and in extreme intimidation and fear. Thus it was very difficult to make out whether the rumbling and roaring was from an animal or from a person. People automatically believed that it was a real leopard, but in reality Ssemalago was not keeping a live leopard in his home. Ssemalago was a polygamist with about 50 wives and had about 100 children. Musoke Gyaviira was a smart, intelligent, obedient, hard working and well-behaved boy. That is why his father singled him out, though young as he was, about 15 years of age, and privately prepared him to be his successor. He had secretly trained him in the art of witchcraft. The boy learnt very well almost all the skills and tricks of witchcraft even to the extent of rumbling and roaring like a leopard. That is why his father, Ssemalago gave him a second name “MAYANJA” (the name of the god to whom in future he would be a priest). Ssemalago had amassed a lot of wealth: cattle, goats, sheep, chicken, money, bundles of bark-clothes etc. from people who used to go to him for treatment of various diseases, for fortune-telling, and for finding solutions to their problems etc. From among the people that went to him, if he fell for a girl or woman, he would tell her that the god Mayanja had selected her for a certain purpose and therefore she had to stay at the shrine and serve the god. There would not be any argument about such a proposal, otherwise some disastrous calamity would befall the whole family from which she comes. That is how Ssemalago and his like managed to marry so many wives, in Mubiru’s case, 50 wives without paying any dowry. When King Mwanga ascended to the throne he demanded handsome, well-behaved and smart good boys from his chiefs to serve him as pages. Ssemalago was perplexed. He did not want to lose Musoke Mayanja who was to succeed him. His three elder sons in line were not qualifying. He did not have much trust in the eldest son, Mayanja the elder and as regards the following two: Jemera and Sinnagabula, he had not yet made close scrutiny about them. He had fear that if he sent to the king any of the three, the boy would misbehave and cause trouble for him and for the whole family. Consequently Musoke Mayanja came out as the only boy qualifying for the post of page-boy so as to give a good name to the family and through whom he would expect promotion to a higher post. Musoke Mayanja aged 15, was then taken by his own father Ssemalago Mubiru to King Mwanga’s palace at Mmengo in 1884. Most of the pages, except Charles Lwanga who was the head of all the pages, were afraid of him at first and hardly associated with the new page. This was due to the fact that he was closely connected with the famous witchcraft shrine of god Mayanja at his home. Thus they nicknamed him “GYAVIIRA,” which meant, “The place where he comes from is feared.” Gyaviira’s place of origin was Seguku about eight miles along the Kampala-Entebbe road. But Charles Lwanga and the catholic pages were very friendly to him. Charles Lwanga soon started teaching Musoke Mayanja Gyaviira the catholic religion. The boy was interested mainly due to the friendly atmosphere he enjoyed with Lwanga and his fellow catholic pages. Lwanga explained to Gyaviira that witchcraft with all its connections was based on mere deceit and it was against God our Creator and Redeemer who ransomed us by his own blood on the cross. Witchcraft and all the like, Lwanga went on, are useless and had to be totally abandoned. He revealed to the boy how he himself (Lwanga) had been longing for a very long time to be a priest to god Mukasa and how he totally abandoned it. At first this catholic teaching was extremely strange and difficult to Musoke Gyaviira. To abandon a life he was used to, a life that had gone far into his blood right from childhood was next to impossible! But surprisingly, as time went on he gradually understood and appreciated the new dogma to the extent of deciding and resolving to totally abandon witchcraft in preference to the catholic religion. He became so determined that nothing could reverse his decision, be it death. Eventually Ssemalago Mubiru and the whole family learnt of Musoke Mayanja’s decision. This decision almost drove Ssemalago crazy and he became confused. Shaking with rage, he went to the palace and ordered his son to choose between two alternatives: either to immediately abandon the new foreign religion of the white men and return to the traditional religion of his ancestors, or to be treated as an out-cast of the clan if he clung to the foreign religion. Musoke Mayanja Gyaviira put himself entirely into the hands of God and made a final decision: to be an outcast of his clan rather than abandon God who created him and who died for him. Gyaviira therefore, collected all the articles connected with witchcraft he had come with to the palace as a means of protection and promotion and took all the stuff to Lwanga. They both, after praying, burnt up everything leaving nothing connected with witchcraft. On learning of what Musoke Mayanja had done, his father and other members of the clan cursed the boy and treated him as an outcast of the clan. (i) The good examples and friendship manifested by the catholic pages and their leaders, namely, Charles Lwanga, Joseph Balikuddembe and others. (ii) Prayers by the pages, Lwanga, Balikuddembe and the rest. (iii) Charles Lwanga had a convincing language and an attractive character. The martyr Gyavira Musoke was born and brought up at Se¬gguku, but which of the fifty women was his mother is not known. 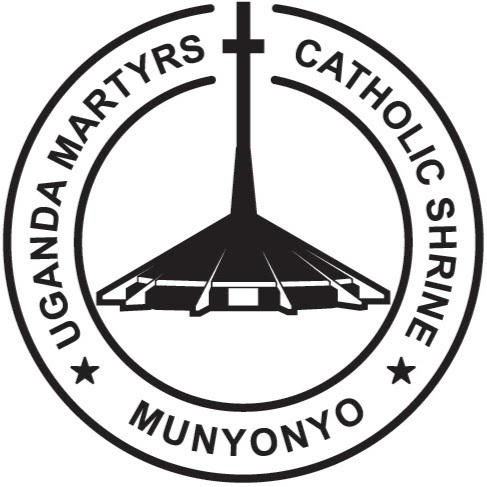 At Court, Gyavira soon became attracted to the Catholic religion, to which so many of his companions in the court of the audience hall belonged, and became a fervent catechumen under the guidance of Charles Lwanga and Joseph Mukasa. Being small for his age, about fifteen, of slight build, dark colouring and handsome features, he soon attracted the unwelcome attentions of Kabaka Mwanga. How¬ever, encouraged by the words and example of so many of his com¬panions, Gyavira remained firm and, with courage remarkable in one so young, persistently rejected the shameful proposals of his lord and master. On the fateful day, 26th May 1886, Gyaviira was one of the martyrs condemned to death by King Mwanga II because of their religion. When he was burnt alive at Namugongo, on 3 June 1886, Gyavira was no more than seventeen years of age.